FIESTA SA CHIANG MAI 2015! Do tortang talong, ginataang sitaw, lechon and the highly publicized Philippine adobo make you drool? 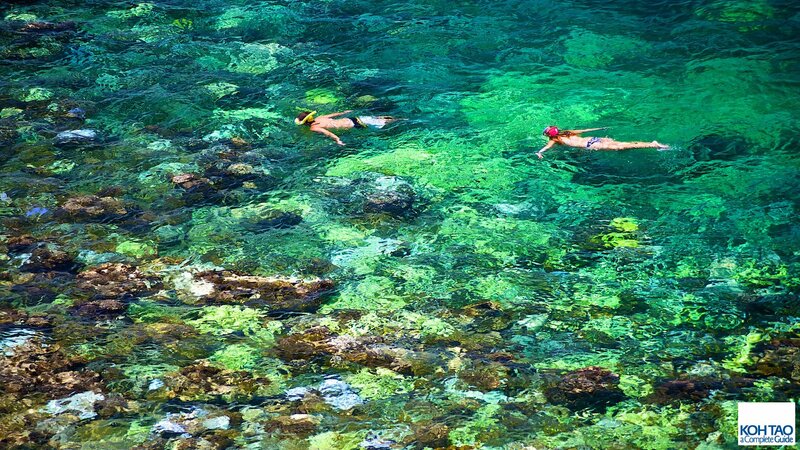 Chances are yes, more so when you are living overseas! 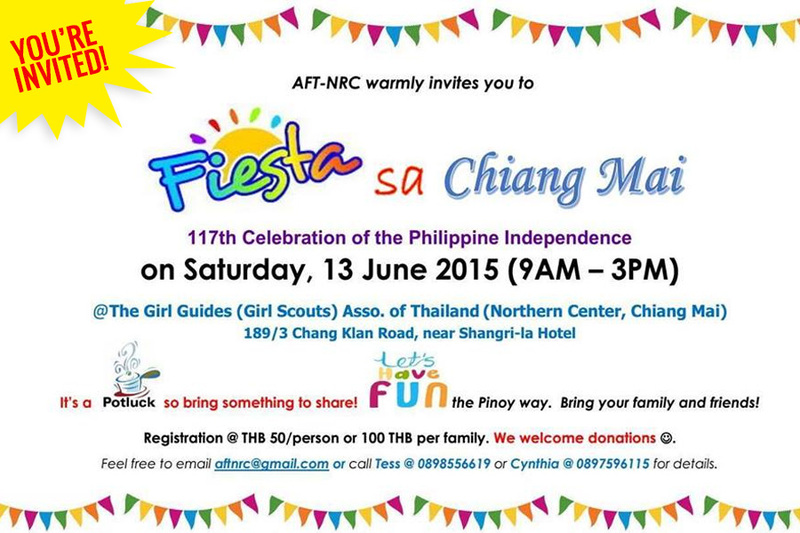 Calling all Filipinos based in Chiang Mai and its environs: On Saturday, 13th of June 2015, we will be celebrating our 117th Philippine Independence! This is one occasion to show our solidarity as a people. 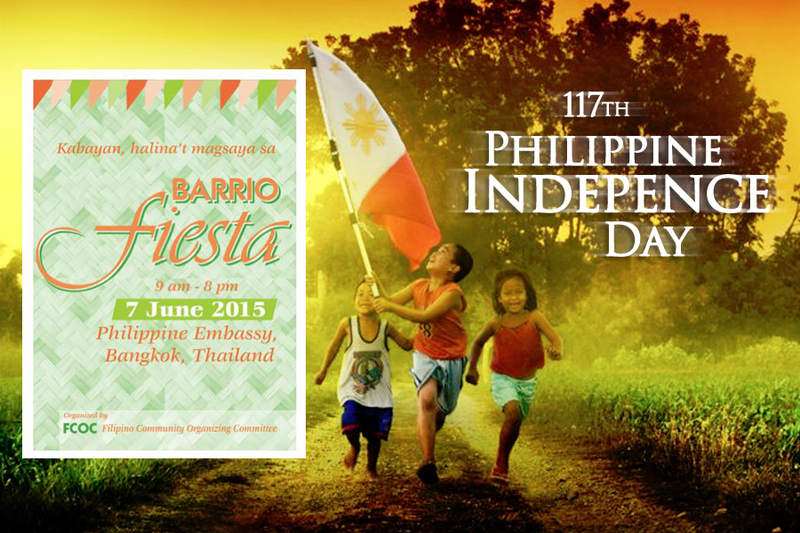 This is one event by which we get to know the rest of the Filipino community in our area. Most importantly, this is one occasion by which we are able to re-live bits of Philippine history and cascade it to our young generation! 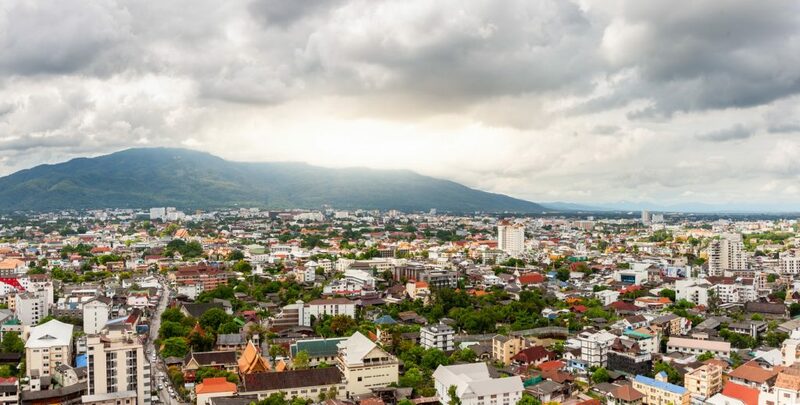 This yearly affair dubbed as “FIESTA SA CHIANG MAI” for its 2015 celebration hopes to draw Filipinos’ interest at having to come together and partake the traditional Filipino cuisines. 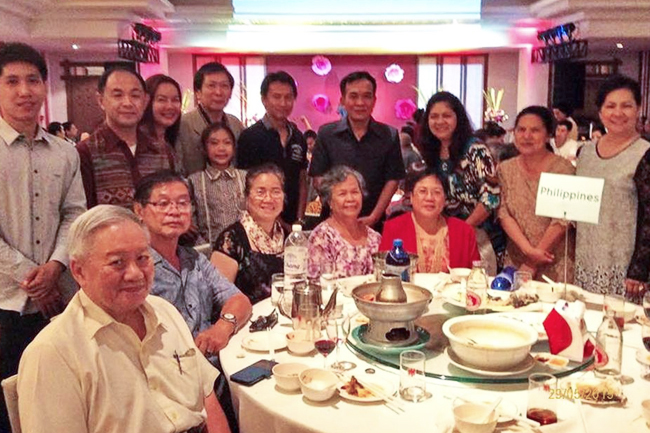 Where most of our children have been deprived of the festive celebrations back home, gatherings of this kind are designed to instill among our young the “bayanihan spirit,” (among other positive traits) a positive trait that has earned the admiration of many! Added to the food, there will certainly be games, singing competition and poetry reading contest. 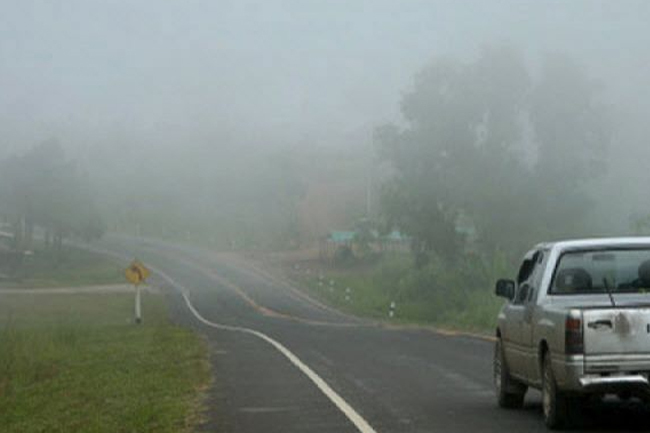 To Filipinos who are based in other parts of Thailand, you are greatly welcome. Just send us an e-mail at aftnrc@gmail.com or send us SMS at 089 855 6619 (Tess) or 089 759 6115 (Cynthia) if you are attending so we can determine the head count. 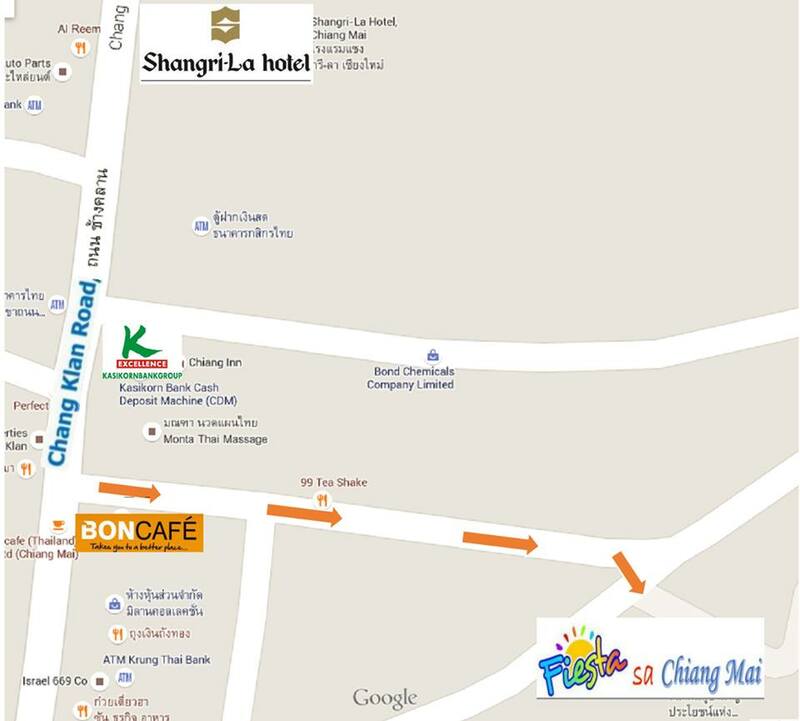 This year’s venue is at the Girl Scouts Association of Thailand building along Chang Klan Road, near Shangri-la Hotel. This is a potluck affair so we earnestly invite and encourage everyone to bring something to share. 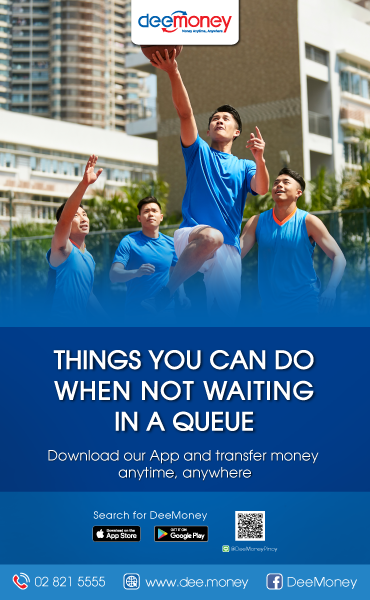 There is a minimal registration of THB 50 per person or THB 100 per family. Proceeds of registration will help defray expenses for the venue and for the projects of AFT-NRC.